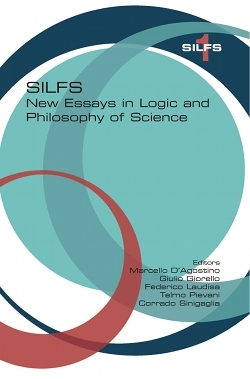 The papers collected in this volume are based on the best contributions to the conference of the Italian Society for Logic and Philosophy of Science (SILFS) that took place in Milan on 8-10 October 2007. The aim of the Society, since its foundation in 1952, has always been that of bringing together scholars working in the broad areas of Logic, Philosophy of Science and History of Science who share an open-minded approach to their disciplines and regard them as essentially requiring continuous confrontation and bridge-building to avoid the danger of over-specialism. In this perspective, logicians and philosophers of science should not indulge in inventing and cherishing their own internal problems although these may occasionally be an opportunity for conceptual clarification but should primarily look at the challenging conceptual and methodological questions that arise in any genuine attempt to extend our objective knowledge. As Ludovico Geymonat used to put it: [good] philosophy should be sought in the folds of science itself. are devoted to the discussion of cutting-edge problems that arise from current-day scientific research, while the remaining section on General Philosophy of Science is focused on foundational and methodological questions that are common to all areas.